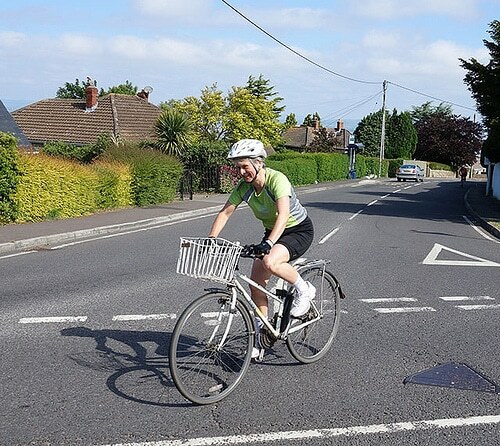 Firstly, well done to Pee Jay for successfully ‘everesting‘ Beeley Moor over the weekend. I believe he was 3rd UK rider to complete this unique challenge. 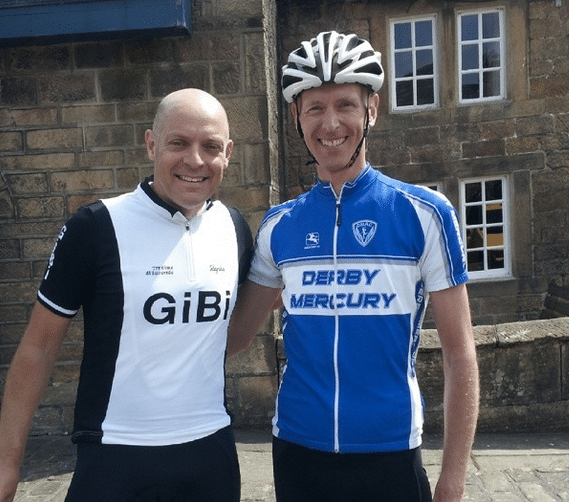 Peter Johnson with Dave Brailsford who happened to be in the area. Shopping baskets allowed. One for Dave Brailsford’s marginal gains. I had a weekend off racing. I was marshalling at the Sri Chinmoy Self-Transcendence ‘tri a triathlon’ in Portishead. Because I wasn’t racing, naturally enough it was a float day with pb’s set across the country. One pb of particular note was Movistar Pro Alex Dowsett smashing the 10 Competition record taking a whopping 25 seconds off to reduce the 10 mile TT mark to 17.20. That’s an average speed of 34.5 mph or something suitably ridiculous. A great ride by a top pro. Today I did seven * one minute intervals up Boars Hill. That’s 7 minutes of training, but my mind was wandering to the idea of everesting something. Someone has done it on edge hill. Not too far from you I believe?